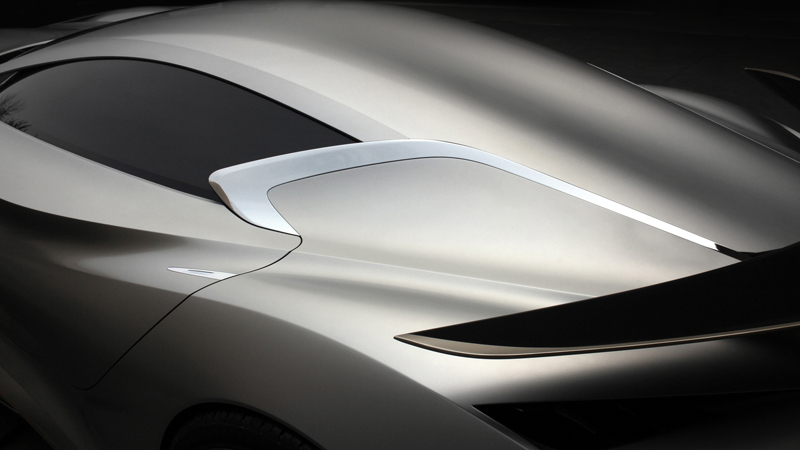 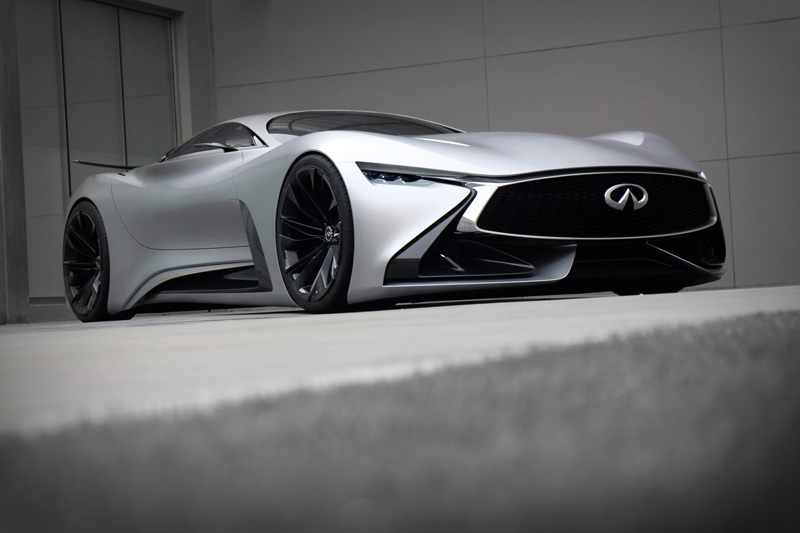 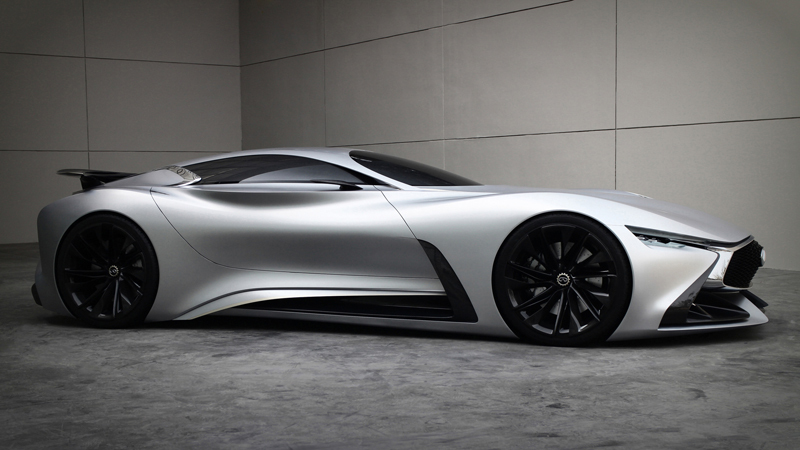 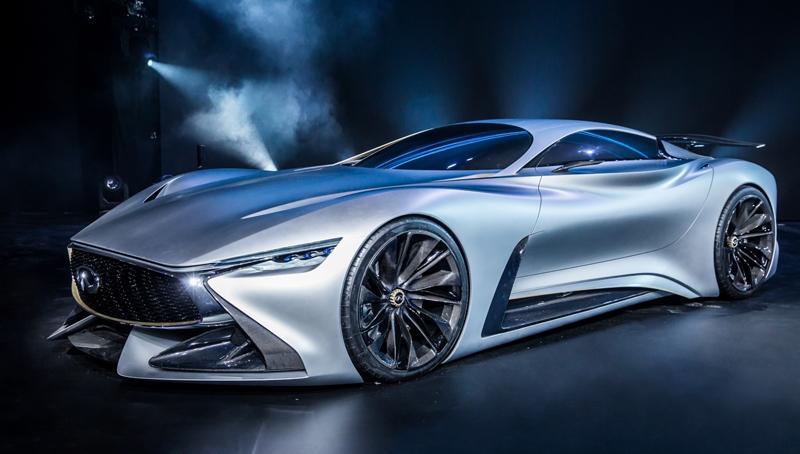 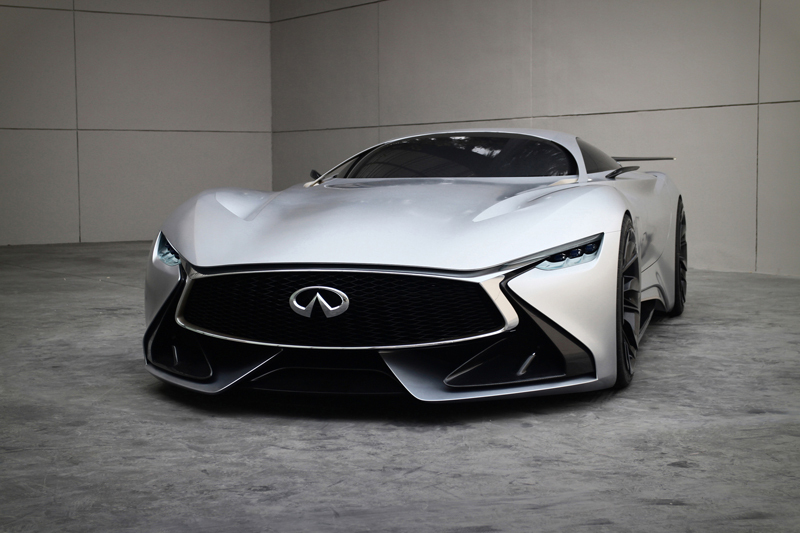 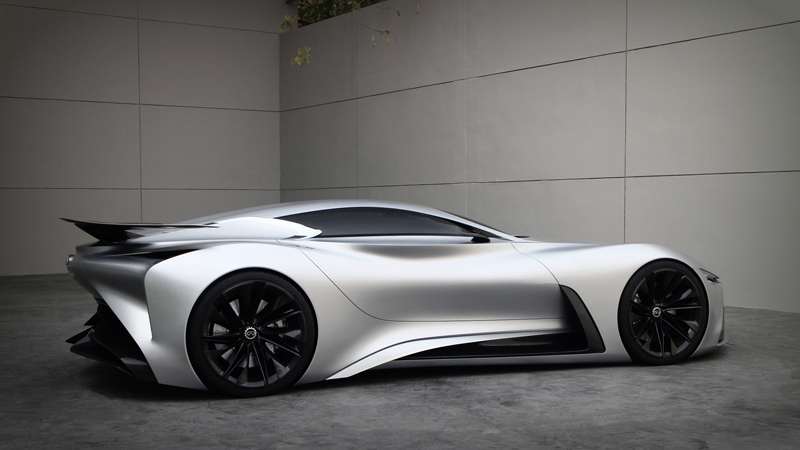 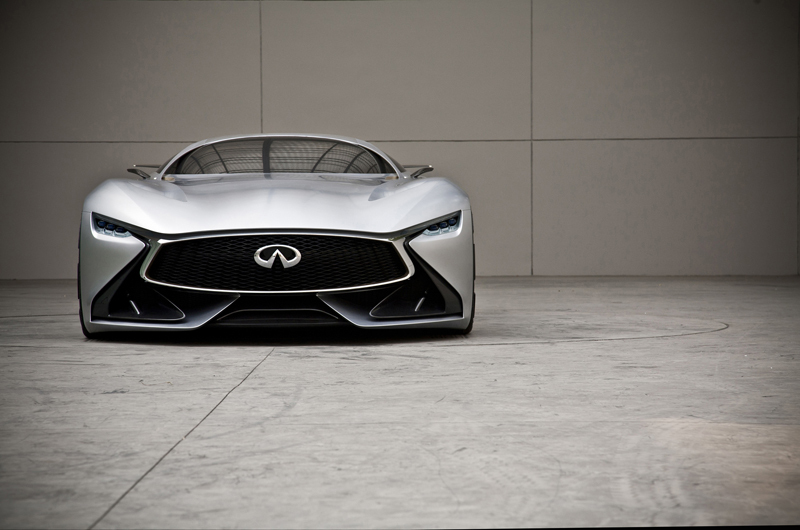 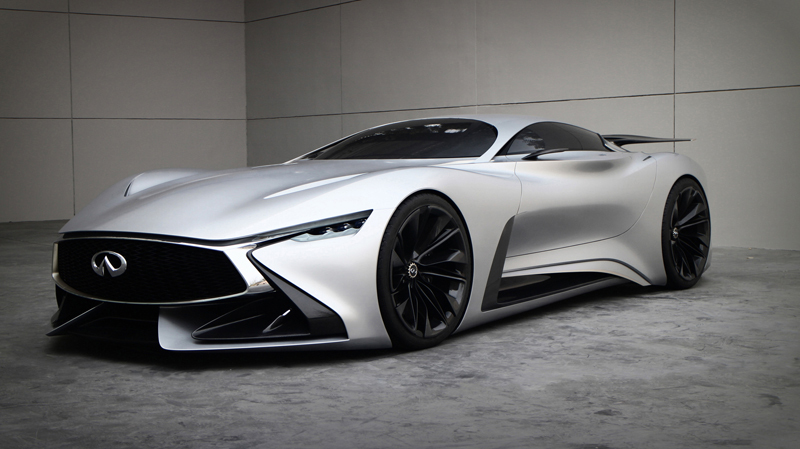 Infiniti has revealed its Vision GT car, and on first impressions, it looks amazing. 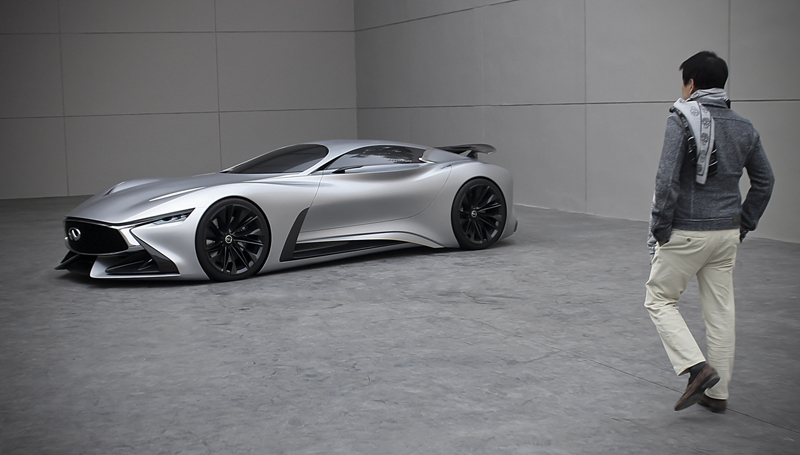 The Vision GT cars are of course, Gran Turismo creator Kazunori Yamauchi’s genius idea to invite the world’s carmakers to design – and sometimes build – racing prototypes specifically for his groundbreaking racing simulator. 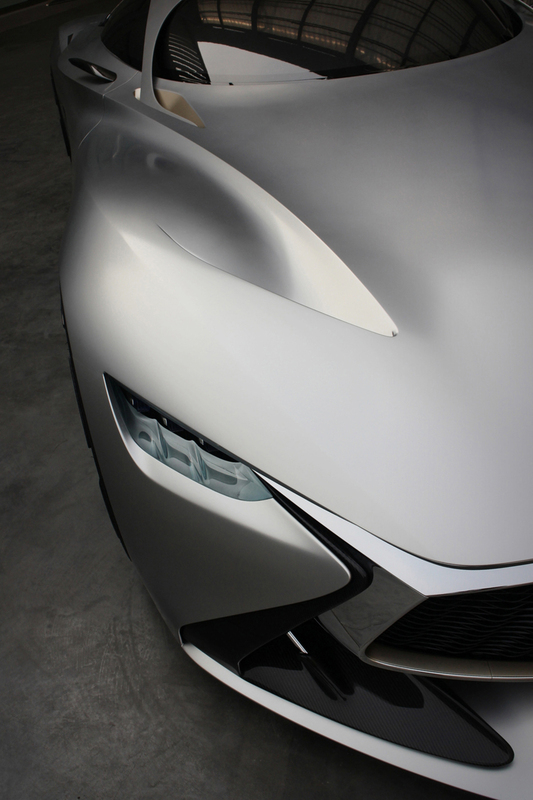 The styling certainly references the company’s recent concept form, all smooth, flowing surfaces, pinched lights and monster diffusers. 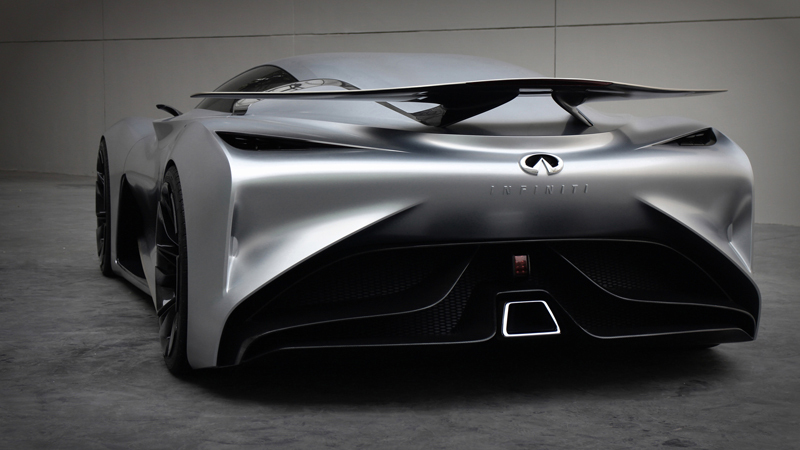 Even the rear wing – normally a Halfords special – is sinewy and graceful. 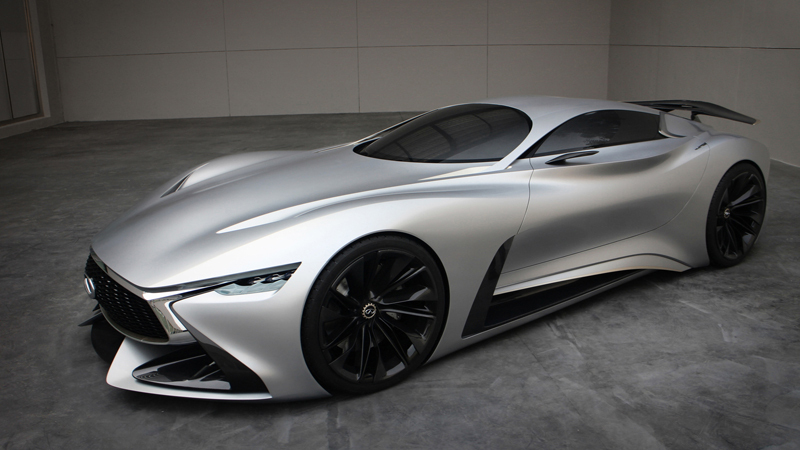 We’re told it’s a ‘front mid-ship’ setup with a 45:55 front-rear balance.